Editor's Note: This blog is written by a team of Georgia Tech Students who participated in an undergraduate course, ID 3031 Health Care Design Studio, at Georgia Tech School of Industrial Design (see: http://www.id.gatech.edu/undergraduate). 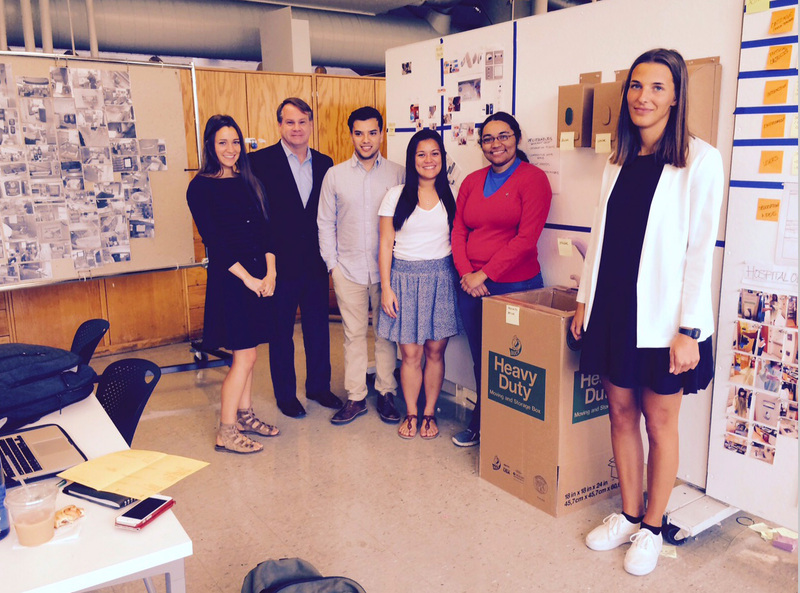 The students participated in an industry (facilitated by The Lab) sponsored new product design project. The class was lead by instructors who challenged the class on new innovations needed to improve hand hygiene (an important and necessary public health intervention tool to prevent the spread of infectious diseases in food service, day care centers, and heath care environments). 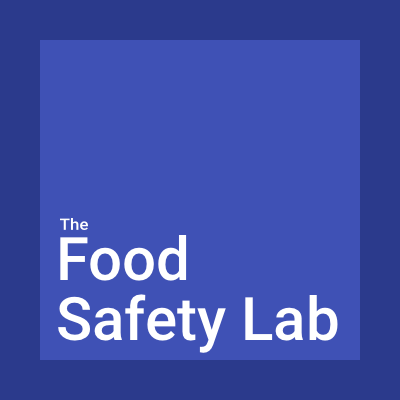 This blog details the student’s work on an innovative hand hygiene system in restaurants, and represents the outcome of industry and university student interactions. Germs, the silent killers, are everywhere. Fighting this threat is an unsung hero, hand washing. Proper hand washing holds immense power in numerous industries to impact lives in big ways by preventing the transmission of germs. However, technology associated with hand hygiene has not evolved with the widespread fervor evident in other various fields of interest. Why is this? There are both technical factors and human factors to consider. In restaurants for instance, proper hand washing is a complex task that depends on various user factors such as time constraints, psychological stress and loading, differentiation of tasks, and limited ways of tracking. As a result, proper hand washing can be difficult to achieve on a consistent basis. And yet, proper hand washing in restaurants is absolutely crucial for keeping the public safe from threats such as salmonella and other foodborne illnesses. As Georgia Tech industrial design students, we addressed the challenge of achieving 100% hand washing compliance with the staff of a major national quick service chain restaurant. We discussed the criteria with the owner of the restaurant and received an interesting perspective on criteria number three: Real-Time Feedback. We had already inferred that real-time feedback would be seen as most beneficial to changing staff behaviors for improved compliance. Two previously proposed aspects of Real-Time Feedback involved the video taping of staff during hand washing and the storing of staff compliance data. During our concept critique session, we realized that not only would a database of names and numbers serve no proactive purpose, the businesses may see the system as a serious legal liability issue since it would only collect past events and then not use the system due to this issue. We researched this issue in depth and after reviewing the restaurant’s processes again and the true project goal we were able to focus on simply providing real-time messaging to staff and management so that they can take instant corrective actions and proactively enhance hand hygiene with a system the businesses would implement. In conclusion, how does our proposed concept improve hand washing compliance? After lots of sketching, ideation and modeling we arrived at a system level solution which we called Cheerwash. Cheerwash is a complete system that includes a system of sensors such as belt-clip sensors that are worn by each staff member and location sensors that are installed at hotspots/critical zones that require hand washing. The belt clip sensors communicate with location sensors to notify the system that a staff member is at a hand washing station or has passed through an area that necessitates another hand washing cycle. 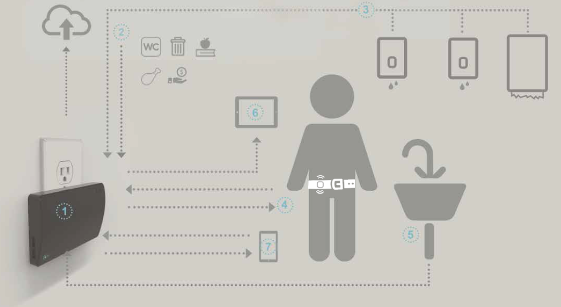 The belt clip generates a signal, a gentle vibration that encourages the user to wash their hands. The Cheerwash system monitors the process and directs the staff member by displaying step-by-step progress at a small display screen located at the hand washing sink. The display screen interface shows their progress and notifies the staff member when they have successfully completed all of the required steps. The behavioral correction aspect when not fully completed then triggers repeated notification signals to the staff member, which, if ignored again are then sent to an app on the manager’s smart phone. This notification allows the manager to immediately follow up with the employee and thus maintain full hand hygiene compliance. This concept is an ideal system to introduce throughout a restaurant chain for a 30 day challenge to raise awareness and build enhanced hand washing habits. This concept is differentiated from other hand washing compliance systems in that it addresses specific needs from the restaurant industry for adapting to hygiene components, notification and data handling. We believe that the Cheerwash system has the potential to prevent many of the foodborne illnesses and germ transmission issues seen in the restaurant industry. We welcome any feedback or opportunities that can help take Cheerwash forward.